Are you looking for the most reliable roofing repair Bournemouth has to offer? Then get in touch with ProRoofing today. 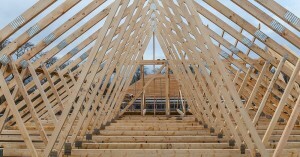 We are the leading specialists in the repairs and maintenance of both domestic and commercial roofing. For a FREE quote and the most competitive prices around, call us today on 01202 518763. We often forget that it can be easy for our roof to fall into disrepair. As an integral part of your property, it is important to keep an eye on the condition of your roof and maintain it on a regular basis. Roofing repair in Bournemouth often becomes necessary when it has become old and worn or fallen victim to a bout of bad weather. If you have any concerns about the condition of your roof, the team at ProRoofing will be happy to carry out a FREE inspection to find out what roofing repair in Bournemouth is required. Our experts will always give you honest and impartial advice about the necessary repairs that could help increase the longevity of your roof. This will allow you to make a well-informed decision that suits your needs and budget. If you own a commercial building it is important to keep your roof well-maintained in order to stay in line with health and safety standards. At ProRoofing, we can provide bespoke maintenance plans or one-off repairs for all your roofing needs. Some of the commercial work we can do includes, but is not limited to, replacing skylights, installing domes and roof lights and cleaning drains and guttering. Our maintenance service is available to all buildings, and you will also have access to our 24-hour emergency line in the event that urgent Bournemouth roofing repair is needed. Many domestic properties still have chimneys, either functioning or just for show. Whether your chimney is active or not, it is still important to carry out regular maintenance and cleaning to ensure its longevity. Our roofing repair Bournemouth team have undertaken many refurbishment projects on chimneys, and we can help you make the most of yours. Chimneys are at the highest point of your property, making them particularly susceptible to high winds and storm damage. We can carry out lead work to stop any leaking from your chimney and apply a waterproof lining for future protection. Another common issue with chimneys is the draft. If you can feel a draft, our roofing repair Bournemouth team will be able to fit a chimney cap to stop it from getting damaged by high winds. We can also fit safety guards to stop birds or other animals getting trapped inside. At ProRoofing, we have many years of experience in dealing with domestic, commercial and industrial roofing repair in Bournemouth, so no job is too big or too small for us. Our primary focus is your safety, so if you have any concerns about your roof, get in touch with us today so we can take a look. Even the smallest problems should be seen to as soon as you notice them. Otherwise, this could lead to bigger, more costly issues. Our experts at ProRoofing are always happy to provide the easiest and most cost-effective solutions to help maintain your roof to the highest standards. We also have experience in carrying our Bournemouth roofing repair for heritage buildings. Our maintenance and restoration team work to preserve old buildings that have become susceptible to damage. If you own a period building that you want to preserve for longer, get in touch with our team to see how we can help. For the best roofing repair Bournemouth has seen, get in touch with ProRoofing for your FREE quote today!